The celebrity chef Anthony Bourdain was found dead in his hotel room in France on Friday. The cause of death is believed to be suicide. Bourdain had a history of drug addiction. Anthony Bourdain, the celebrity chef who was found dead on Friday at the age of 61, opened up about his regrets, shame, and what he called his “unhappy soul” in an interview with The Guardian last year. Bourdain’s body was found in his hotel room in France. He is believed to have killed himself. 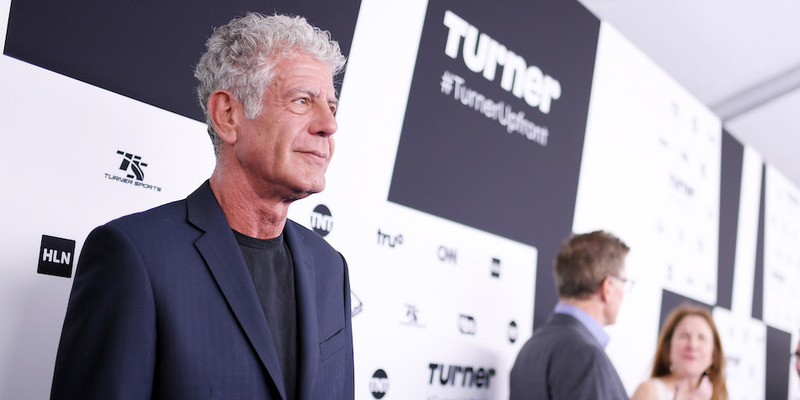 Bourdain hosted CNN’s “Parts Unknown,” wrote a best-seller about his time as a chef, and received numerous awards and nominations for his work throughout the late 2000s and 2010s. He also had acknowledged that he struggled with drug addiction and had a history of heroin use. “When you’ve seen what I’ve seen on a regular basis, it changes your worldview,” he said. Bourdain had been in France working on new episodes “Parts Unknown,” in which he travels the world and reports on local cuisine and culture. On being close to death at points in his career, Bourdain said: “The great Warren Zevon was asked, close to death, whether he had any important words of wisdom to pass on, and he said, ‘Enjoy every sandwich.’ I definitely enjoy my sandwiches, given how low I fell and how likely it was that there was going to be a different and tragic outcome. Bourdain leaves behind a daughter and a girlfriend, the Italian actress Asia Argento. Argento accused the Hollywood film producer Harvey Weinstein of sexual assault in a high-profile New Yorker article last year and has become a vocal critic of his. “It is with extraordinary sadness we can confirm the death of our friend and colleague, Anthony Bourdain,” CNN said in a statement Friday morning.